Israeli authorities, on May 7, 2018, revoked the work permit for Omar Shakir, the director for Human Rights Watch Israel and Palestine, ordering him to leave Israel within 14 days. The government said that it was because of Shakir’s alleged support for boycotts of Israel. Authorities based the decision on a dossier that a government ministry compiled on Shakir’s activities spanning over a decade, almost all of them predating his Human Rights Watch employment. The decision comes a year after the Interior Ministry granted Human Rights Watch a permit to employ Shakir as a foreign expert, after initially refusing to issue it. The May 7 letter notes, according to the PNN, that the decision “does not constitute a principled or sweeping refusal for the organization to employ a foreign expert,” but rather relates specifically to Shakir. However, a February 2017 Interior Ministry decision to deny a work permit did target the organization, saying that its “public activities and reports have engaged in politics in the service of Palestinian propaganda, while falsely raising the banner of ‘human rights.’” The ministry later reversed course, granting Human Rights Watch a permit in March 2017 and issuing Shakir a one-year work visa on April 26, 2017. Neither Human Rights Watch nor its representative, Mr. Shakir, promotes boycotts of Israel, as Human Rights Watch noted in its reply to the Interior Ministry. The Interior Ministry acknowledged in its May 7 letter that “no information has surfaced regarding such (boycott) activities” since Shakir joined Human Rights Watch. Human Rights Watch has found that businesses operating in settlements inherently benefit from and contribute to serious violations of international humanitarian law and, on that basis and as part of its global efforts to urge companies to meet their human rights responsibilities, has called for companies to cease operations in settlements. Human Rights Watch also defends individuals’ right to express their views through nonviolent means, including participating in boycotts. Israel’s Strategic Affairs Ministry, created in 2006, has dedicated significant resources to monitoring critics of Israeli policy. On April 29, Israeli authorities denied entry to the American human rights lawyers Vincent Warren, executive director of the Center for Constitutional Rights (CCR), and Katherine Franke, chair of CCR’s board and a Columbia University professor. Israeli officials have accused Israeli advocacy groups of “slander” and of discrediting the state or army, and, based on a law adopted in 2016, have required from them extensive financial reporting that burdens their advocacy. Palestinian rights defenders have received anonymous death threats and have been subject to travel restrictions, and even arrest and criminal charges. To accomplish its mission, Human Rights Watch relies on professional researchers on the ground and regular engagement with government officials as well as with others with first-hand information. Human Rights Watch maintains direct access to the vast majority of countries it reports on. Cuba, North Korea, Sudan, Iran, and Venezuela are among the handful of countries that have blocked access for Human Rights Watch staff members. 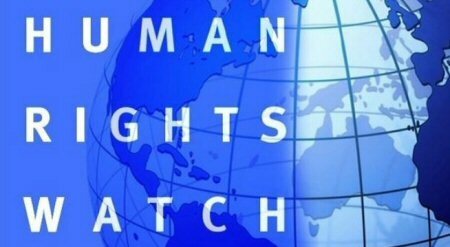 Human Rights Watch has for nearly three decades had regular access without impediment to Israel and the West Bank – though not Gaza, to which Israel has refused access to Human Rights Watch’s researchers and other senior officials since 2008, except for a single visit in 2016.